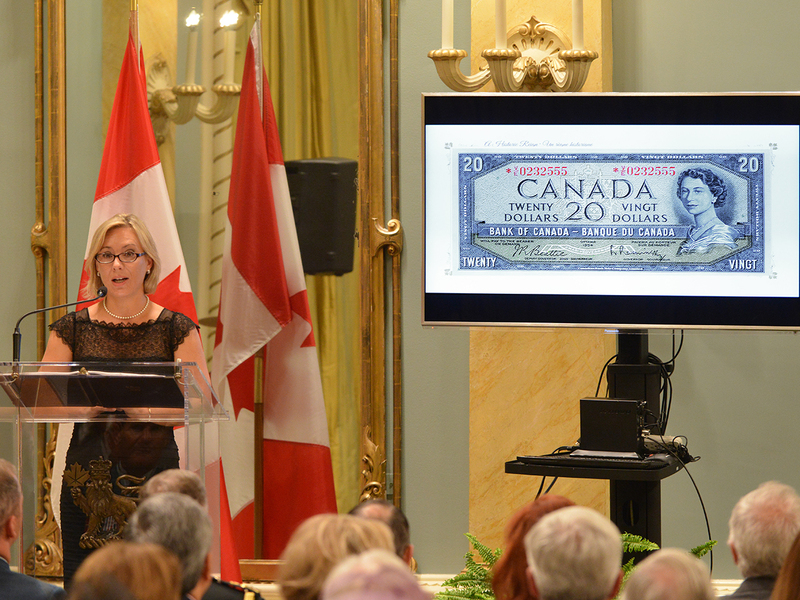 The Bank of Canada’s 2015 commemorative $20 bill; unveiled at Rideau Hall, 9 September 2015. 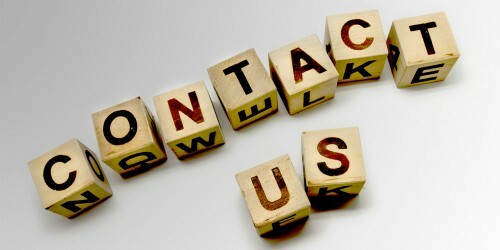 See the Bank’s website for full details on this bank note. Her Majesty, Queen Elizabeth II, celebrated a historic milestone on 9 September 2015. 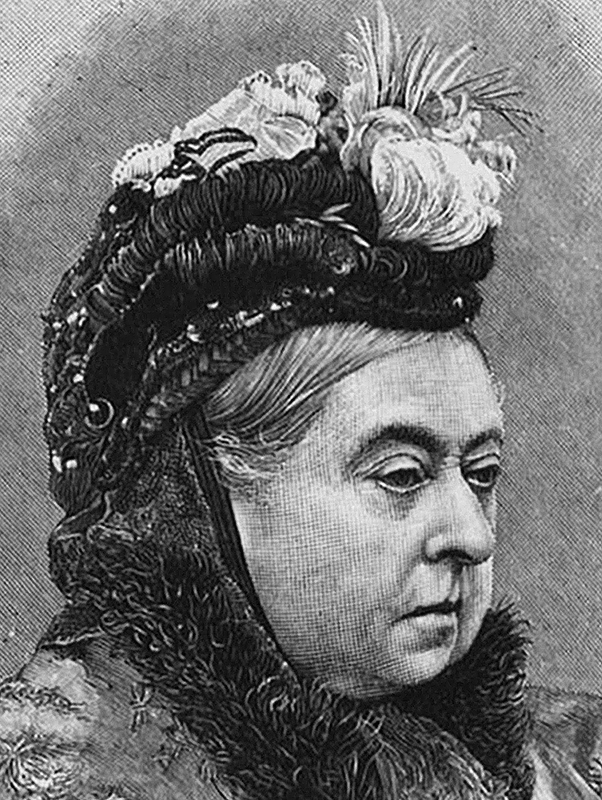 On that day, she surpassed her great-great-grandmother, Queen Victoria, as the longest-reigning monarch in British history. That also makes her the longest-reigning monarch in modern Canada. 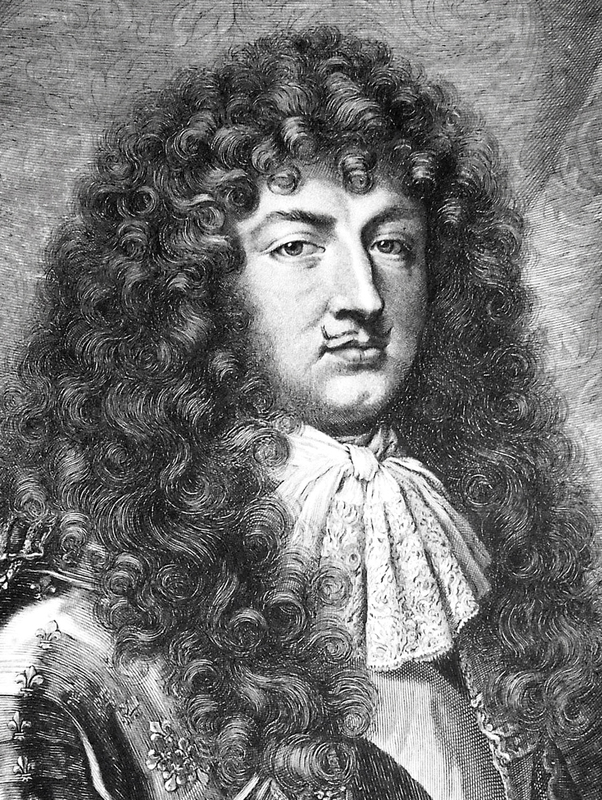 I say “modern Canada” because King Louis XIV of France was on the throne from 1643 until 1715, when the French colonies of North America made up much of what would become the Dominion of Canada many years after his death. It was a historic day for us as well. 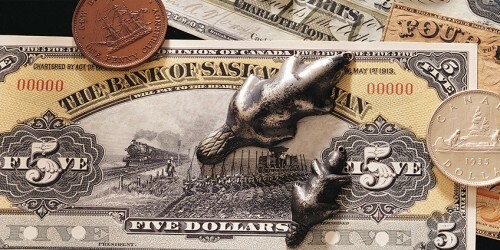 It isn’t every day that the Bank of Canada introduces a new commemorative note. 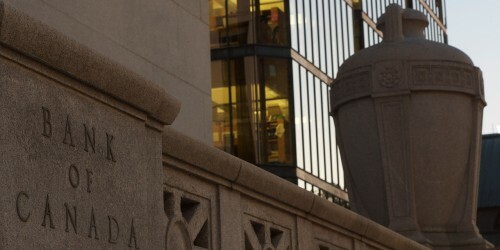 In fact, 9 September was only the third day in its 80-year history that the Bank has done so. The first commemorative note, a $25 bill in honour of the silver jubilee of King George V, was introduced in May 1935, the only time the Bank issued a bank note in this denomination. The note was unique, not just for its oddball denomination, but also because it is the only Bank of Canada note to feature an image on the back that was not of Canadian content. Instead, Windsor Castle, one of the royal family’s official residences, was depicted. Another commemorative note was issued in 1967: a variant of the 1954 $1 bill with the centennial logo on the face and an engraving of the original Centre Block of Parliament on the back. 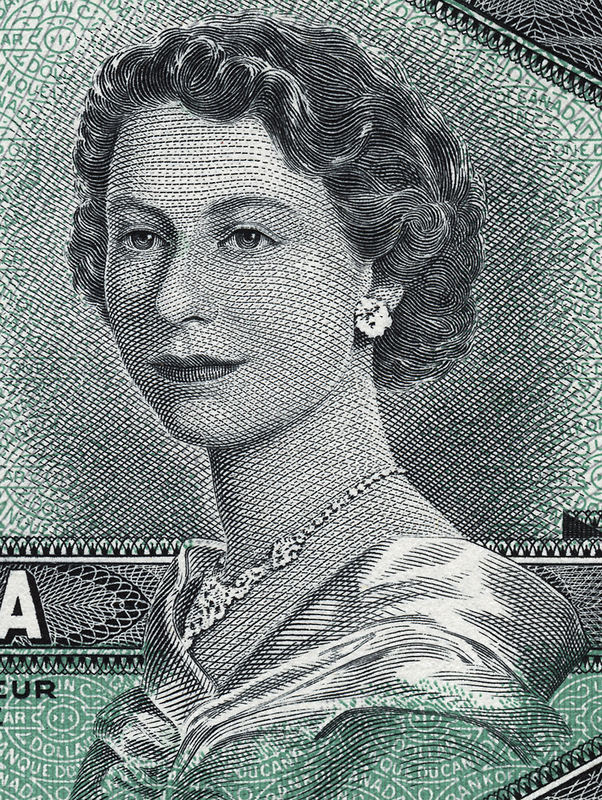 Take a close look at the portrait of the Queen on that note from 1967. 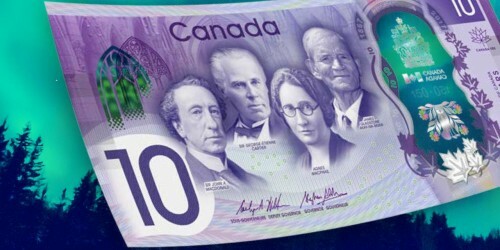 Now look closely at the polymer window of the 2015 commemorative note. It’s the same image. Well, not exactly. Let me explain. 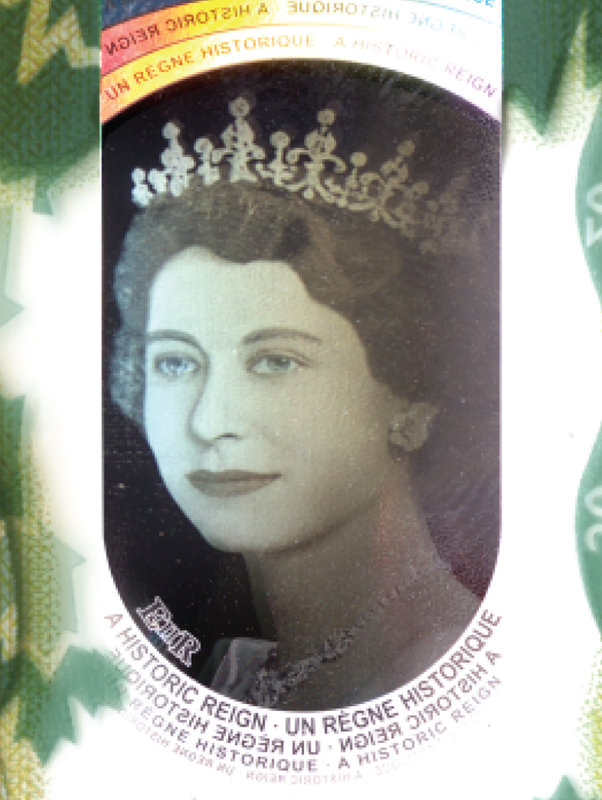 A 1951 portrait of the young Princess Elizabeth, taken by renowned photographer Yousuf Karsh, was incorporated into the entire 1954 note series that included the 1967 commemorative note. The same image was used for the window of the 2015 commemorative note but for one crucial difference: she is wearing a tiara. The young Princess Elizabeth was wearing a diamond tiara in the Karsh photograph but engraver George Gundersen omitted the tiara for the ’54 bank note to distinguish it from a stamp engraving of the same photo. 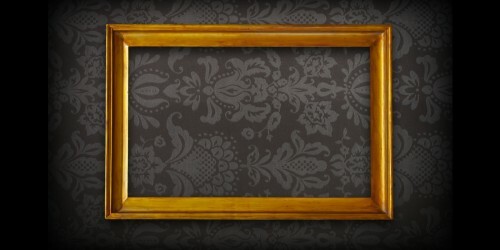 You will also notice that the portrait has been colourized for the metallic holographic image. 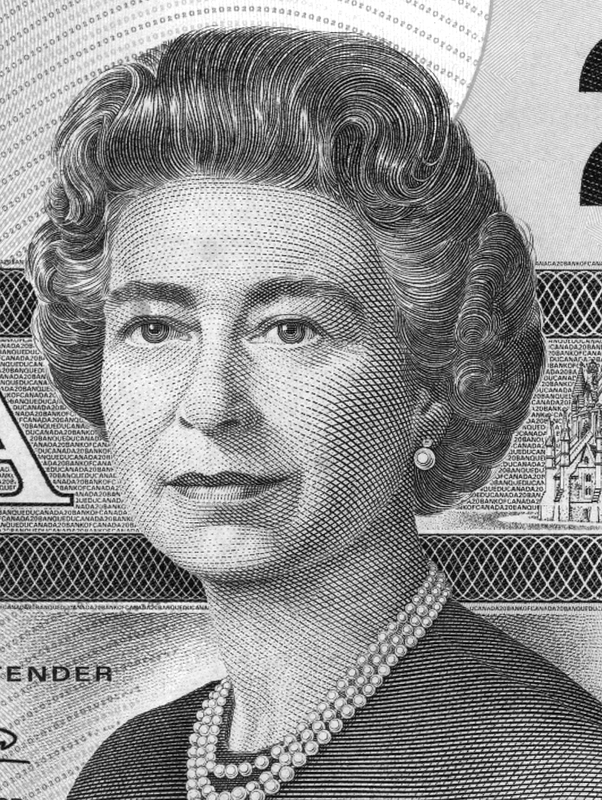 The royal portrait engraving as seen on the 1954 bank note series; engraver George Gundersen used a 1951 portrait by Yousuf Karsh as a basis. The colourized holographic reproduction of the 1951 portrait is not only commemorative, it is also an important part of this bank note’s major security features. 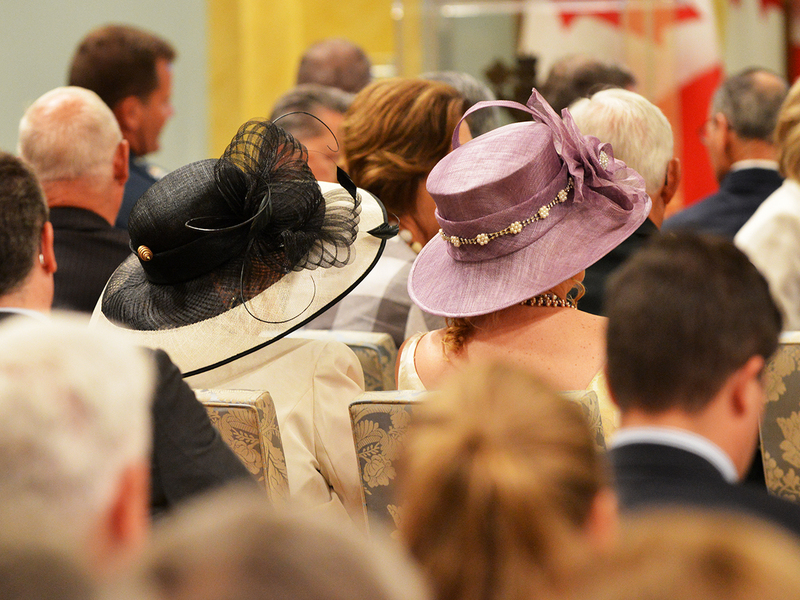 On 9 September 2015, 180 special guests and dignitaries gathered at Rideau Hall for the official introduction of the 2015 commemorative bank note. Yours truly also attended, but far from being a dignitary, I was helping out at the table where attendees were able to exchange regular $20 bills for crisp, new commemorative notes—a bargain, to be sure. Like most events at Rideau Hall, the blazingly lit ballroom (CTV was doing a live broadcast of the event) was hopping with protocol people, security personnel and event coordinators. While the media did sound checks, we were whisked out to another reception room—the tent room. Decorated to look like the interior of a vast pink‑striped tent, this curious space, formerly a tennis court, soon began to fill with Commonwealth ambassadorial staff, military personnel, and other government and private sector guests. 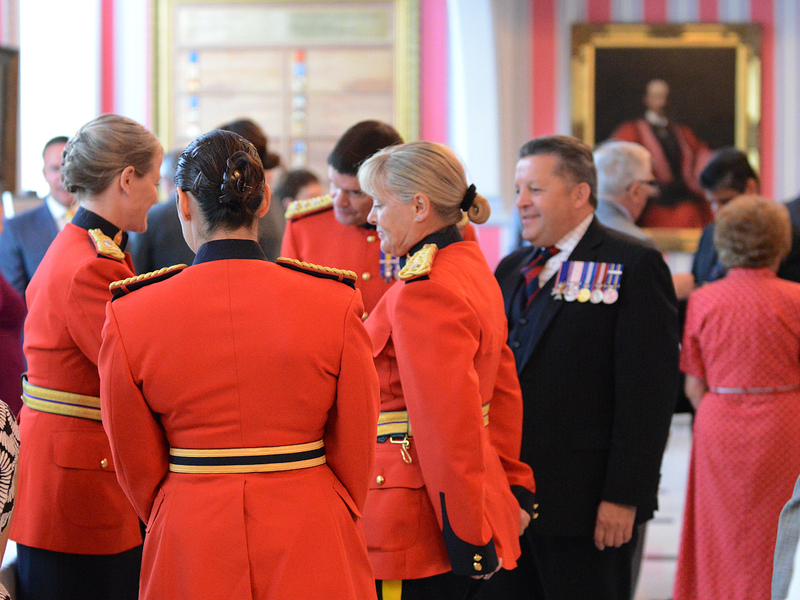 The Royal Canadian Mounted Police (RCMP) contingent provided a sea of Red Serge coats and, since it was a royal‑themed event, a small number of very large hats were also in attendance. 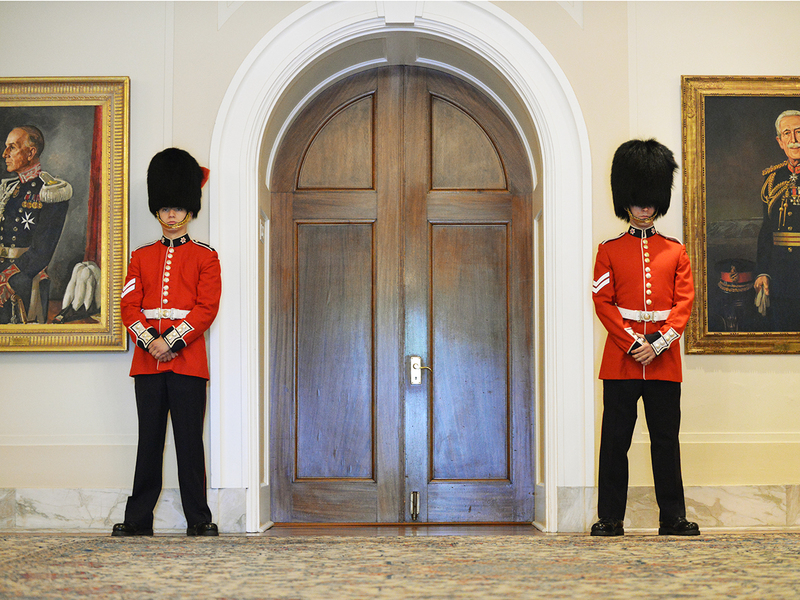 Rideau Hall events are steeped in centuries of tradition; real and ceremonial guards were everywhere. Somebody should have warned the RCMP that they’d clash with the decor. A royal-themed event is never complete without some serious headgear. Soon we were ushered back into the ballroom to the musical accompaniment of a Royal Canadian Air Force quartet. Their Excellencies Governor General David Johnston and Mrs. Sharon Johnston were led into the ballroom by two booted and spurred RCMP guards. Alexia Harrison of the Office of the Secretary to the Governor General provided the introduction. Alexia Harrison of the Office of the Secretary of Governor General talks about previous portraits featuring the Queen that have appeared on bank notes. 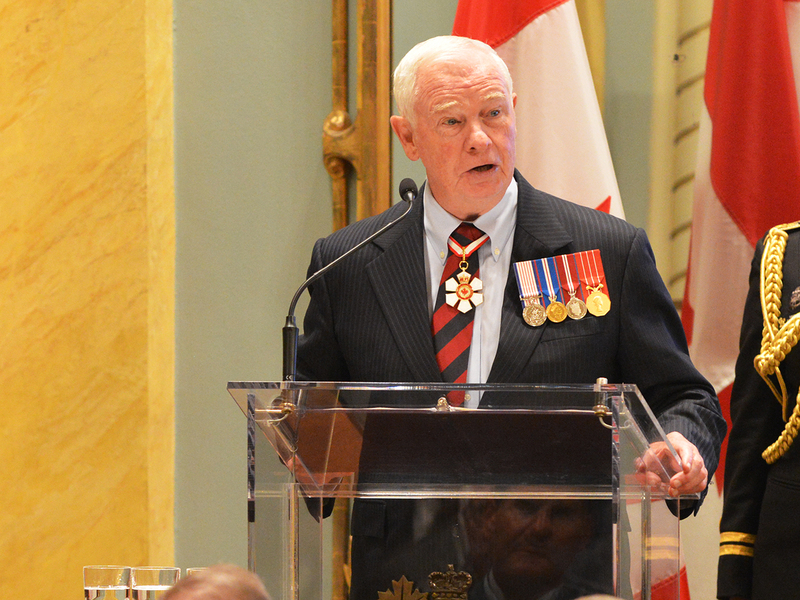 His Excellency Governor General David Johnston discusses our long relationship with our Queen. 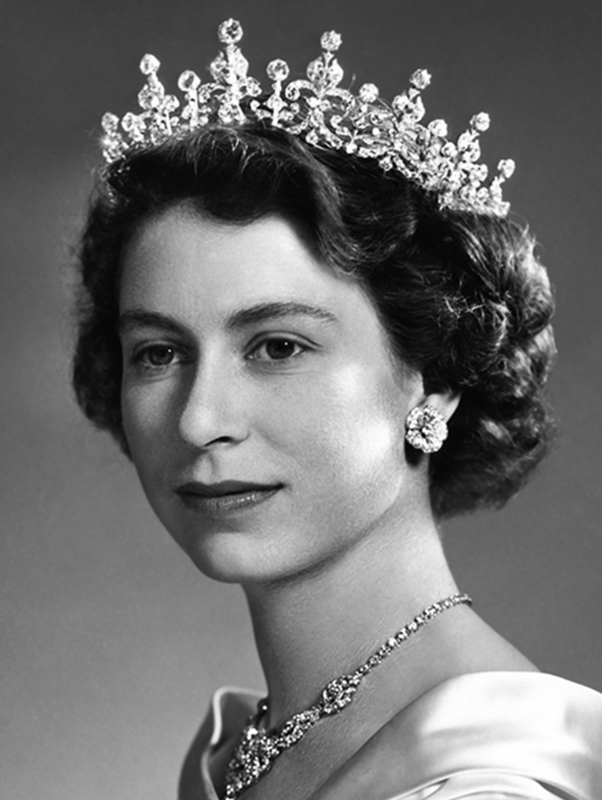 In his short opening speech, the Governor General noted that, as of 1:30 p.m. Ottawa time, Elizabeth II had officially been on the throne for 23,226 days, 17 hours and 23 minutes. Richard Wall, Chief of the Currency Department at the Bank of Canada, then joined the Governor General in lifting the black curtain to reveal an enlarged version of our new commemorative $20 note. And there it was. 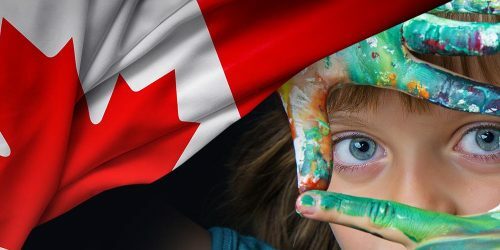 There was a solid round of applause and the Governor General took the microphone again to relate an anecdote about the official unveiling, in the Queen’s presence, of the portrait painted to mark her Canadian Diamond Jubilee that now dominates one end of the ballroom. Bank of Canada Currency Department Chief Richard Wall and the Governor General unveil the new commemorative $20. 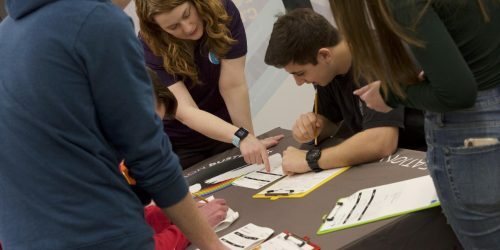 This event was a triple reveal: commemorative pieces from the Royal Canadian Mint and Canada Post were also unveiled. 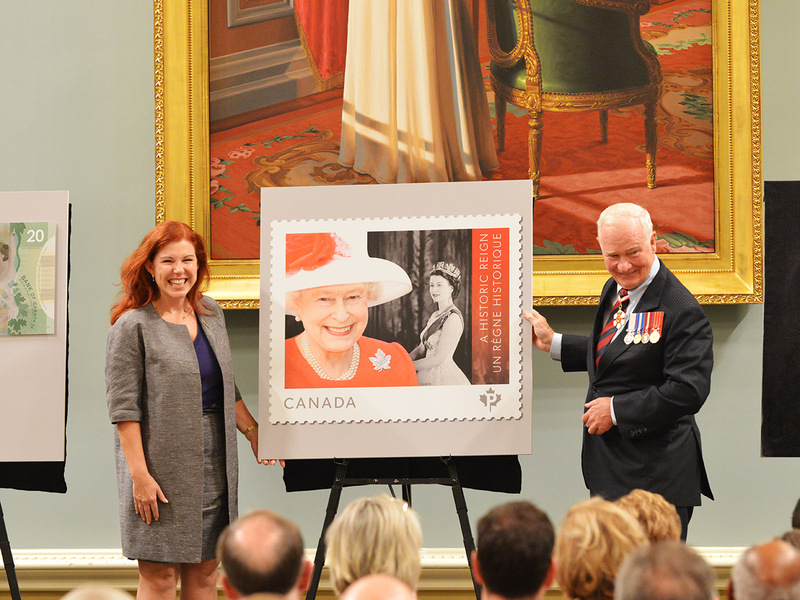 Siân Matthews, Chairperson of the Board of Governors for Canada Post, introduced a new stamp celebrating the Queen’s reign. It is a large‑scale stamp that contrasts a current image of the Queen with her 1953 Coronation portrait. 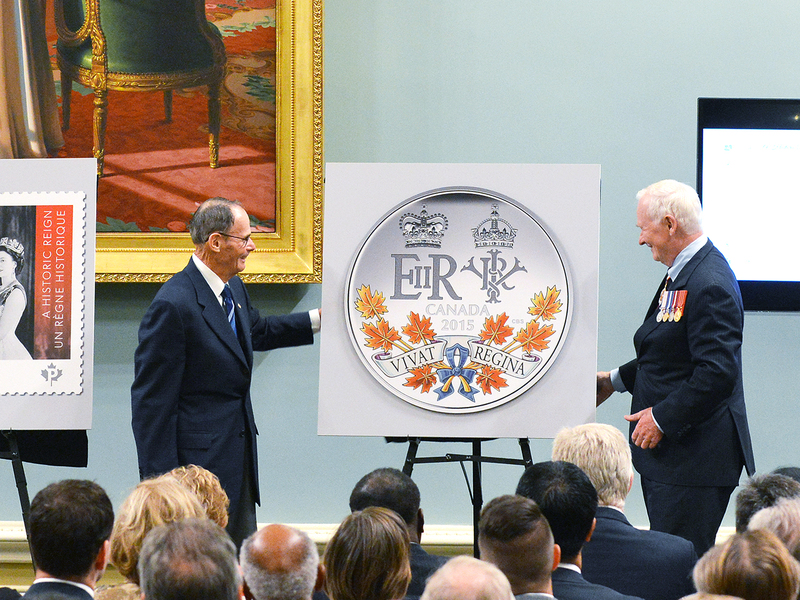 The Mint then had its turn, as board member Claude Bennett helped the Governor General unveil a specially minted $20 coin with “VIVAT REGINA” (Long Live the Queen) displayed on a classical ribbon and surrounded by autumnal maple leaves. The program ended with rousing renditions of God Save the Queen and O Canada by veteran RCMP vocalist Garth Hampson and two of his granddaughters. Siân Matthews of Canada Post is extremely proud of the new commemorative stamp. The Mint’s commemorative coin is, coincidentally, a $20 coin. 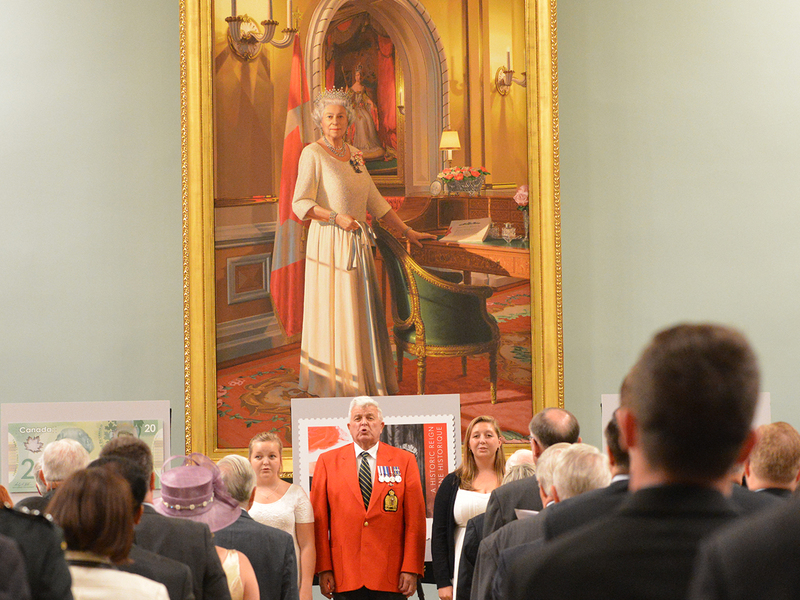 Garth Hampson, a veteran performer at Rideau Hall, sings with his granddaughters Abby and Jessica Wilson. The Bank’s table at the reception following the unveiling drew a crowd of guests wanting to see the Karsh portrait on display and taking advantage of the opportunity to exchange a garden variety $20 bill for a commemorative note. We’re very proud of this note, so we invite you to visit the Bank’s website and learn all about its security and design features. To get an even more personal view, step up to your friendly neighbourhood bank teller and request a fresh commemorative note for yourself. The Bank is producing only 40 million of them, so don’t delay—get yours today. 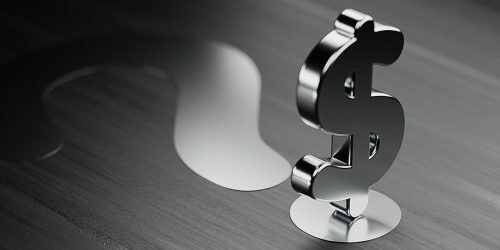 During the first international assembly of the Ligo in 1946, a decision was made to introduce a common world currency with an internationally stable value. Wars have been fought to control its trade and gifts of it have been made to ensure peace. It has even been used as currency. Paul Berry is Retiring? Say it Ain’t So! I can’t remember when I first met Paul, but it must have been shortly after his arrival in 1984. It seems like yesterday … No, it doesn’t, actually. 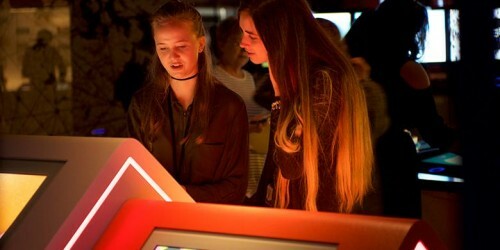 In Europe, gold and silver coins largely disappeared from circulation as they were hoarded or as governments used the metal for the war effort.